When I was offered retirement from my job as an elementary school teacher, I didn’t really have any of those, “What will I do with myself now?” anxieties. I took retirement when it was offered, because I was already looking forward to what came next: exploring the polar regions. That was over 20 years ago, and I’ve now been all over the Arctic and Antarctica. Twelve of those expeditions have been with Quark, and on 8 of them, I traveled aboard the iconic icebreaker Kapitan Khlebnikov. Your ship is a huge part of the expedition experience and I can tell you, traveling on an icebreaker is an adventure in itself. It’s a wonderful vessel that’s really felt like a second home to me. You can imagine my delight when I learned that the Kapitan Khlebnikov is returning to Quark for 2018. Passengers on one of four unique icebreaker voyages to Antarctica will have the rare opportunity to visit a special place I’m privileged to have been myself on a few occasions: the world’s northernmost Emperor penguin colony, on the sea ice near Snow Hill Island. What does it take to reach Snow Hill? If you’ve been on an expedition with Quark before, you know that thrill of hearing your Expedition Leader announce an upcoming landing site over the ship’s PA system. When you hear that call, you know it’s time to suit up, put on your muck boots and life jackets, and get ready for a Zodiac ride. Snow Hill Island is different right from the get-go. First of all, there’s no way you’re going to reach it by Zodiac. 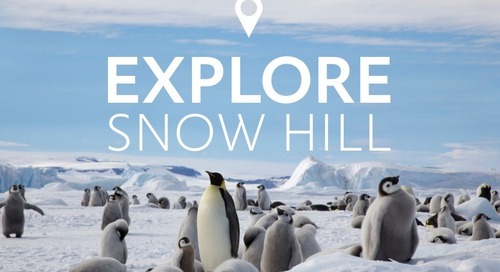 The reason Snow Hill is so incredibly special is because of the Emperor penguin colony that lives on the sea ice offshore. 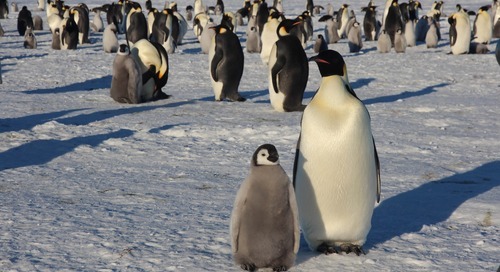 One of Quark’s penguinologists, Dr. Tom Hart, wrote a great piece recently on just how and why this particular colony is so revered. 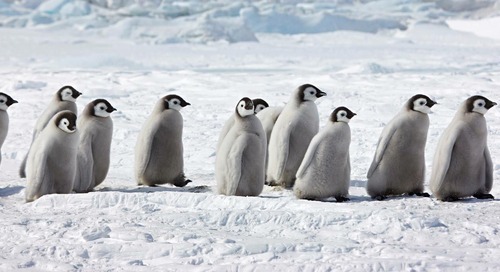 Emperor penguins breed on the sea ice, so you won’t see them on a regular shore landing. The colony is only accessible by helicopter, and then you need to stop breaking ice far enough away that you don’t disturb the penguins. That means you need helicopters to get the rest of the way in. My first time to Snow Hill aboard the KLB, we broke ice to about 11 miles from the Snow Hill Island helicopter landing site. Blessed with four days of great weather for visiting the emperor penguin colony, we flew out in the helicopters on the sea ice, then touched down to walk the rest of the way. 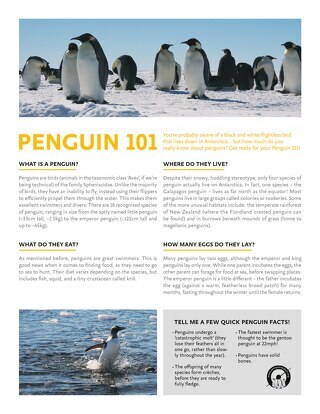 We try to give the Snow Hill penguins their space, of course. But often, if you stand or sit still, their curious nature overtakes any inhibitions they may have about you. In fact, just sitting still and becoming a part of their environment is the best way to experience these incredible creatures. It was my second last day when I saw a chick so small it was still curled up on its father’s feet. For the most part, the chicks had been growing and wandering around on the sea ice, getting their bearings and preparing for the season ahead. What a thrill to see one hatched! I was blown away. On our trip, the weather conditions permitted that we could walk back to a meeting area at lunch, if we chose. I loved that walk because I never was in a hurry. There were times I just stood there and turned 360 degrees, without another human being in sight. 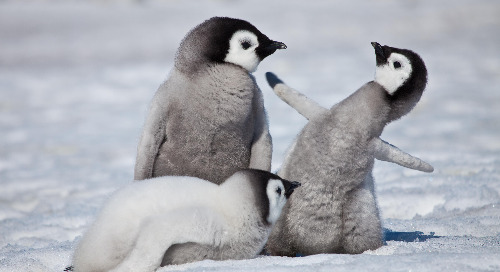 Sometimes we even heard little penguin feet moving along on the ice, or spotted them peddling along on their bellies. That just puts a smile on your face. If you have the opportunity to attempt a Snow Hill landing, I say go for it! 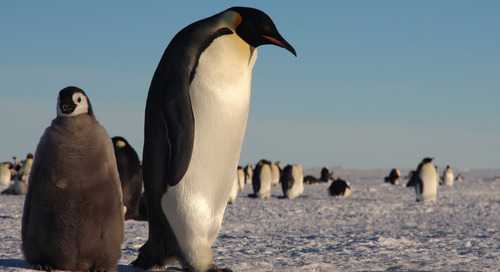 The Kapitan Khlebnikov is just the icebreaker for the job, and its onboard helicopters will get you the rest of the way, right into this colony of fascinating and genetically mysterious emperor penguins. Spend time on the fly bridge, especially outside on the bridge deck. That feeling of standing over this powerhouse as you crush your way through sea ice is indescribable. There’s nothing I love more than being at the front of that ship, up top or on the wings, taking it all in. 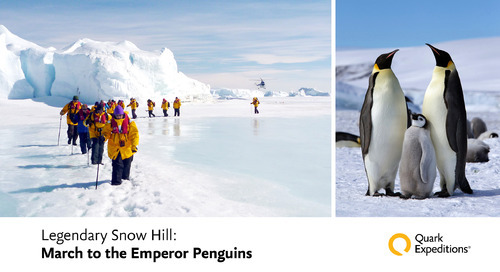 Editor’s Note: You don’t want to miss a rare opportunity to visit the Emperors at Snow Hill! 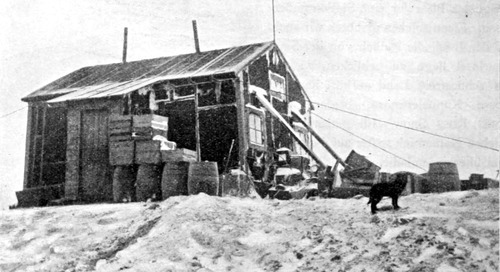 The chance to get there is limited, and there’s no telling when this expedition can be offered again--if ever. 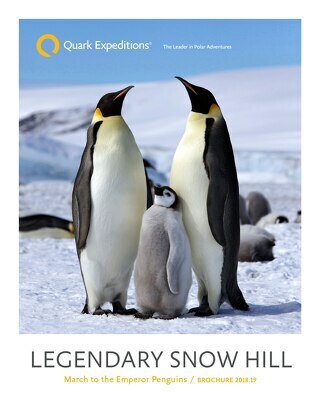 Choose one of 4 available 14-day departures in October and November 2018 to join the most exclusive penguin adventure on the planet in that narrow window of opportunity for trekking to the Snow Hill Emperors colony.